Posted April 11, 2019 by Jon Butts & filed under Gardening, Station Updates, Sustainable Living. 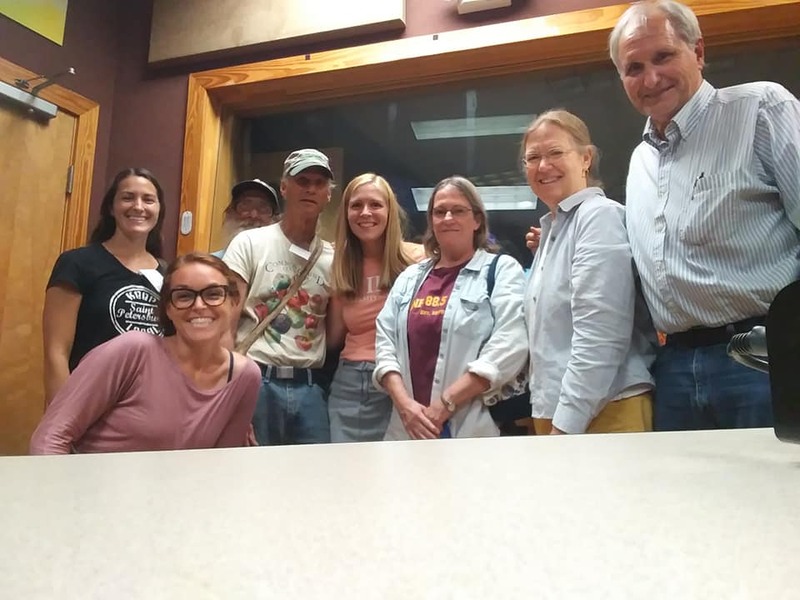 On Monday’s Sustainable Living Program we spent the hour talking about shade and front yard gardening topics with several guests from Polk and Hillsborough Counties’ UF Cooperative Extension Offices. Also joining us was Jim Kovaleski, urban market gardener and YouTube gardening star; and Elise Picket, The Urban Harvest Gardener LLC St. Petersburg. We started the program with a short interview with Lynn Barber, Hillsborough Co. Florida Friendly Landscape Agent, about the 2019 Water Wise Awards Program. Then we moved on to Anna Yasalonis, Polk County Extension Residential Horticulture Agent/Master Gardener Coordinator; and Julie Schelb, their Florida Friendly Landscaping Coordinator, who together with Jim and Elise, started the topic of Shade and Front Yard Gardening. On the legislative side, we’re hopeful that a bill passed by the Florida Senate allowing front yard gardening will be approved by the House (HB 145). Guests took gardening questions about topics such as what edibles to plant in shady areas and discussed the principles of Florida Friendly Landscaping. We got to talk a little about the Annual Plant Sale for the Polk County Master Gardner Program coming up soon and mentioned the big USF Botanical Gardens Spring Plant Sale this Saturday and Sunday. There’s more about the show on the WMNF Sustainable Living Face Book Page. Please like the page – there’s always a lot of good information on it.